I personally love this short. The look, feel and tone of Rebels is supposed to be very close to Episode IV: A New Hope. 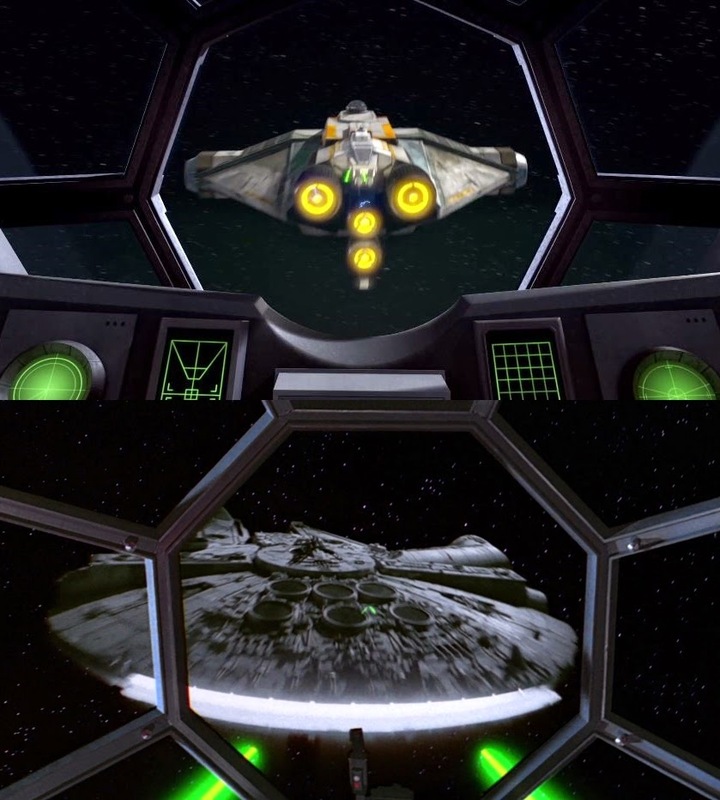 Many of the shots in this clip are nearly identical to scenes in A New Hope, as you can see below. Those who've already seen the first episode of the show say it very much captures the magic of the very first film of the Saga. This will certainly be a treat for adults who grew up that film, and to children who may be experiencing Star Wars for the first time through this series. Star Wars Rebels comes to the Disney Channel and Disney XD this October!